Abbey Oaks were built in 2000's by Sutherland Development Group. 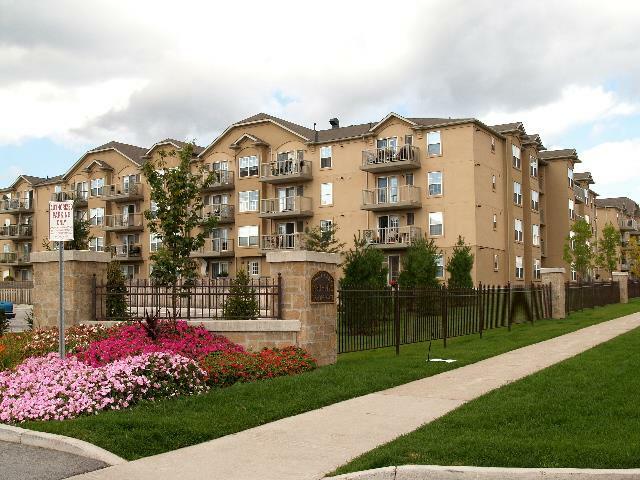 This complex is made of six low rise condominiums.1440,1450,1460,1470,1480 and 1490 Bishops Gate. There are 336 units which offer 1 bedroom, 1 bedroom plus den, 2 bedrooms and 2 bedrooms plus den floor plans (with or without a den) ranging from 640 up to 1,345 square feet. Abbey Oaks building amenities include a fitness room, party room and sauna, all located in a common rec centre.Condo Fees Include: common element maintenance and insurance, water. Located in the sought after Glen Abbey neighbourhood, Glen Abbey also offers many parks and trails for an active lifestyle. Short drive or bus ride to the Oakville GO Station and convenient access to the QEW, 407 and 401.